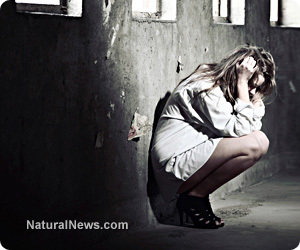 (NaturalNews) Safe nutritional approaches have proven to be effective in alleviating the symptoms of mental illness. These approaches include the use of omega-3s, B vitamins, and amino acids, along with changing to a nutrient dense diet of traditional foods. Unlike today, physicians have long understood that malnutrition contributed to mental illness. French psychiatrist Pinel wrote almost 200 years ago that insanity originated in the areas of the stomach and intestines. An old psychiatric textbook published in 1937 noted that schizophrenics are generally poorly nourished. See the GAPS diet for current research. Weston Price, DDS in his landmark 10-year research in the 1930s observed that primitive cultures consuming their native, nutrient dense diets, containing four to 10 times the amount of vitamins comparable to the American diet, suffered no mental illness. Dr. Price noticed that these groups were happy and well adjusted. There was no need for mental health treatments or prisons. This state of affairs is quite different from present day American culture with its preponderance of mental illness and violent crimes. Several research studies have shown that daily dosages of 1,000-2,000 mg of the EPA form of omega-3 fish oil are helpful in alleviating symptoms of depression. The improvements in mood generally take place between three to 12 weeks after beginning the supplement. Diets high in fish have also been shown to be correlated with improved mood. Americans are well known to have an imbalance of omega-3/omega-6 fats averaging 1:20, while the ideal ratio ranges from 1:1 to 1:4. Traditional diets including coconut oil, butter, cream and other animal fats from pastured animals have the ideal ratio of omega-3 to omega-6 fats. In Canada, True Hope, which specializes in nutritional formulas, has helped 90,000 individuals heal from mental illnesses since its inception in 1996. Twenty medical journal articles support its effectiveness. Their formula, containing vitamins, minerals and amino acids, correct the underlying nutritional deficiencies which cause many mood disorders. (http://www.truehope.com). Innovative physician Abram Hoffer (1917-2009) was successful in using high dosages of vitamin B3 to safely treat 5,000 schizophrenic patients. He experienced a 90% success rate compared to 10% for psychotropic medications. He published 30 book and 900 scientific papers. Julia Ross is a brilliant innovator and popular speaker on holistic treatments of mental illness. She founded the Recovery Systems Clinic in CA in 1988. At her clinic thousands of patients have healed from eating disorders, alcoholism, depression, anxiety disorders and other mental illnesses. Ross uses an individualized approach of safe, nutritional supplementation of targeted amino acids, vitamins and a nutrient dense diet, following principles of Weston Price. Her book the Mood Cure, including a self questionnaire to determine specific amino acid deficiencies, has been used to successfully guide many individuals towards healing. Psychiatrist Hyla Cass has successfully treated patients with a nutritional approach instead of psychotropic drugs. She prescribes individualized vitamins, amino acids, and dietary changes, based on symptoms and blood work. Price, Weston. A. (2009). Nutrition and Physical Degeneration CA: Price-Pottenger Nutrition Foundation.